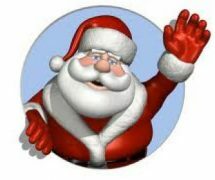 Rhys Cycle has invited his festive friend Santa to set up home in Bryn Pica, Landfill Site, Llwydcoed as a very special treat to all their young friends in Rhondda Cynon Taf. 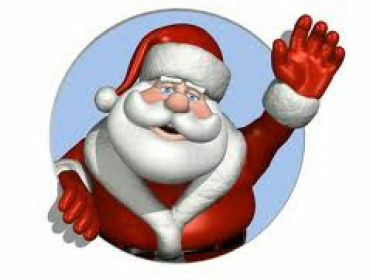 Santa will be relocating to the Amgen-Cymru Visitor Centre and Landfill site at Bryn Pica, Llwydcoed in Aberdare and is inviting all young residents from across the County Borough to visit the centre, FREE of charge between 10am – 3pm on Saturday 15th December – where the first child to visit Santa in his purpose built grotto will receive an extraordinary gift of a new BIKE. All other visitors will be treated to gifts of an environmentally friendly nature. Visits must be booked in advance by calling the Streetcare team on 01685 372904. Visitors’ Centre – a classroom based environment where pupils will learn about waste, the importance of recycling and the various processes involved when recycling. Landfill Safari – a dedicated tour around the Bryn Pica Landfill site providing young people with first hand knowledge about where their waste ends up if it’s not recycled, and how much is actually collected. Mini-Material Recovery Facility (Mini-MRF) – an interactive stage enabling the young people to act as members of the Streetcare Team, helping to separate and sort various waste elements, whilst identifying what items are recyclable. Visitors who come along on Saturday 15th December between 10am-3pm will also get to visit Santa’s, special purpose built grotto and receive some green themed presents, with one lucky child taking home a top prize!